These restaurants offer the freshest and most flavorful Vietnamese cuisine in Bangkok, from pho to banh mi to banh cuon. This unassuming stall at Phra Khanong's W District keeps things simple. 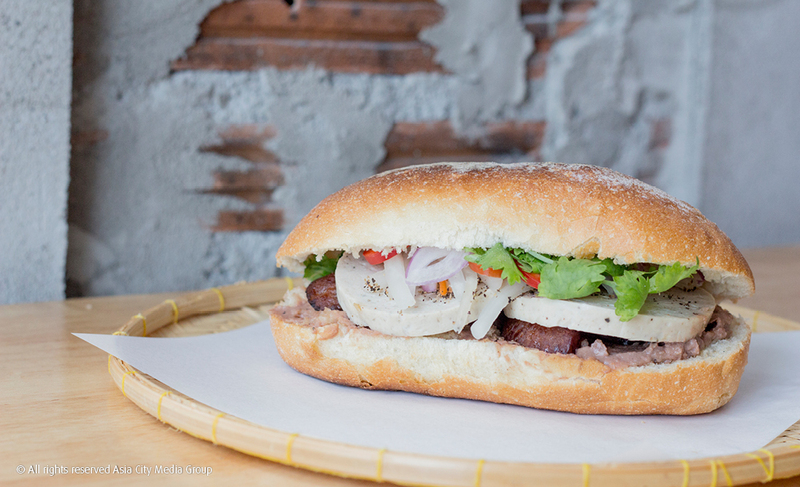 The menu is all about banh mi (Vietnamese sandwiches)—and they are some of the best in town. We love the crispy pork version, but the "special" made with four kinds of pork is also pretty amazing, just beware of all that chili. Delivery is available. And yes, the bun is pretty darn crispy. W District, Sukhumvit Rd., 081-172-4918. Open Mon-Fri 7:30am-midnight, Sat-Sun 9am-midnight. BTS Phra Khanong. Other branch: On Nut. Probably Bangkok’s coolest Vietnamese restaurant, this counter at The Commons comes covered in skateboarding and crust-punk stickers. 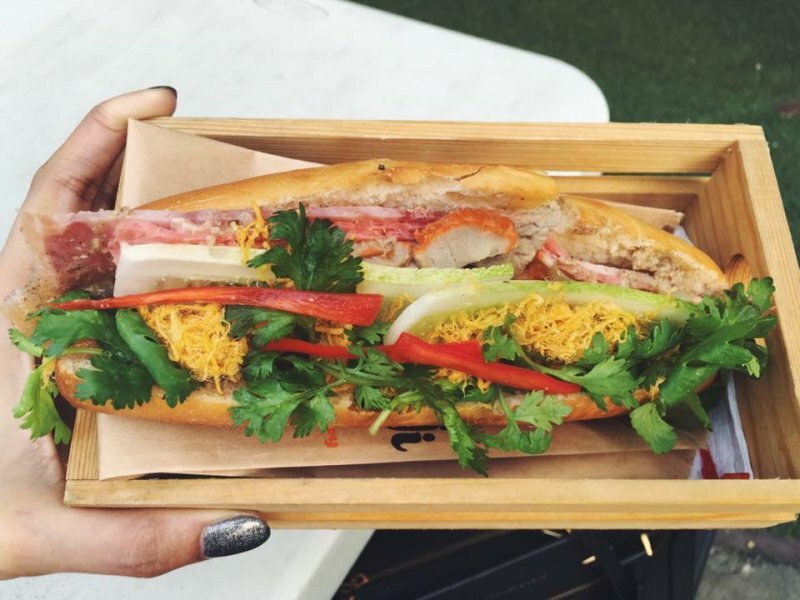 Its main claim to fame is the banh mi sandwiches, which take a creative New American direction. Instead of baguettes stuffed with usual cold cuts, the focus is on warm, stir-fried fillings like juicy, Sriracha-slathered duck—a decadent treat. Round out your meal with on-point summer rolls or a noodle bowl. Bonus: vegetarian options aplenty. G/F, The Commons, 335/1 Thonglor Soi 17. Open daily 11am-10pm. 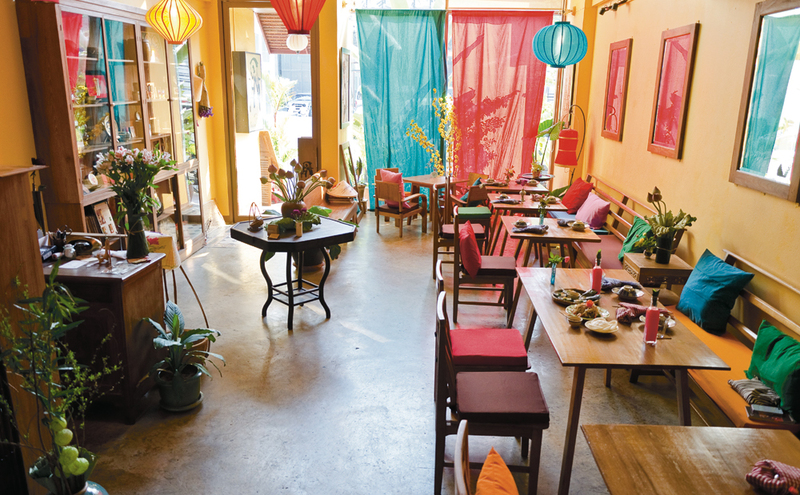 This funky Vietnamese-themed bar restores some edge to tired and touristy Silom. Find a corner in the neon-drenched dining room and tuck into straight-up takes on banh mi, banh cuon and pho to go with other Thai-leaning dishes. What’s more, the herb-laden, Asian-inspired drinks (sample names: 100 Dong, The Pink Slip) arguably upstage the food. 1/5 Sala Daeng Soi 1, 080-961-4524. Open Mon-Sat 11am-3pm, 5-11pm; Sun noon-3pm, 5-11pm. The centuries-old, restored teak house surrounded by verdant greenery provides a setting unrivaled by other Vietnamese restaurants. Seat yourself in the antique-laden dining room and settle in for faithful renditions of royal Vietnamese recipes. Le Dalat’s classic chao tom, banh cuon and pho can now also be enjoyed at some of the city’s top malls, too. 57 Sukhumvit Soi 23, 02-259-9593. Open daily 11:30am-2:30pm, 5:30-10pm. Other branches: Emporium, EmQuartier. This cool and contemporary cafe highlights Vietnamese street food. The various styles of banh mi (Vietnamese sandwich) span classic cold cuts (liver pate, Vietnamese pork sausage and Chinese pork sausage) and charcoal-grilled pork shoulder blade to newer creations like crispy omelet with Sriracha dressing and Oyster Po’ Boy. The crisp-yet-fluffy bread is a step above most of the competition, though flavors are a bit on the sweet side. They also serve other staples like pho, spring rolls and grilled pork with vermicelli alongside rarer items like Vietnamese curry. Don’t miss their Vietnamese-style drip coffee, either. Decorated with a beautiful collection of vividly colored Hoi An lanterns, communist propaganda posters and wooden cabinets, this restaurant is more than just a pretty picture. The menu covers classic dishes from the southern and central parts of the country, like the must-try fried shrimp spring rolls and silky banh cuon (steamed rice crepes stuffed with tasty ground pork, minced shrimp and wood ear mushroom). For an honest taste of northern and central Vietnam, make the effort to visit this reinvigorated shop-house within stumbling distance of Wat Pho. The dishes here come bursting with freshness, whether the silky and smooth banh cuon (rice crepes stuffed with ground pork and plentiful chives) or the beautifully bouncy cha tom (shrimp grilled on sugarcane sticks). Throw in the stylish yet low-key setting and there’s good reason you need to book ahead on weekends. 69 Maharaj Rd., 093-469-2969. Open Wed-Mon 11am-10pm. This enduring but well-hidden favorite goes big on home-style Vietnamese flavors. The banh mi sandwiches deserve all the plaudits they get thanks to fillings like the succulent xui mai meatballs in tomato sauce. The pho symbolizes all that’s good about the place, with its rich and hearty broth that’s evidence of lengthy hours’ simmering. Put on your stretchy pants, forget about the macros and tuck in to BK Best Eats 2018. This is the Bangkok dining that ignores fancy restaurants and 10-course tasting menus and goes straight for the comfort food—steaming bowls of fat-rich ramen, triple-decker burgers, all-you-can-eat dim sum buffets with an extra helping of pork buns. In other words, the stuff most of us eat out, most of the time. Download your PDF copy of the guide here.